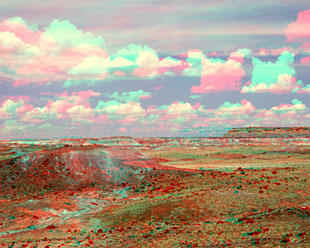 Petrified Forest national park is located in northeast Arizona USA. 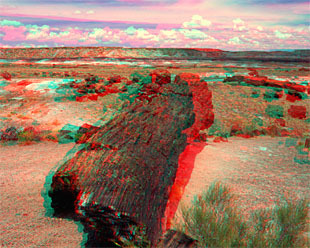 There are a lot of petrified woods on the desert. Long time ago, by volcano eruption, ash and fragments of lava heaped on the trees, when the trees were petrified. Painted desert in Petrified Forest. 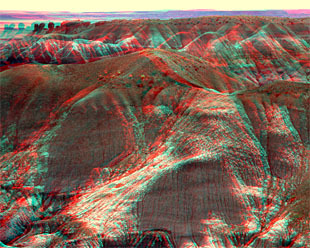 Geologic stratum is colorful.